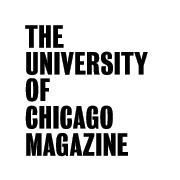 Block University of Chicago Magazine? This will prevent University of Chicago from sending you messages, friend request or from viewing your profile. They will not be notified. Comments on discussion boards from them will be hidden by default. Sign in to Goodreads to learn more about University of Chicago. We’d love your help. Let us know what’s wrong with this preview of The Rhetorical Presidency by Jeffrey K. Tulis. We’d love your help. Let us know what’s wrong with this preview of Legacies of Losing in American Politics by Jeffrey K. Tulis. We’d love your help. Let us know what’s wrong with this preview of Biotech Juggernaut by Stuart Neman. From the author: "In today’s ultracompetitive business environment, figuring out your own professional goals is more important than ever. How do you keep your career on track if you’re dealing with a position that’s way outside of your desired field? A manager who expects you to sleep with your smartphone under your pillow? Or a job search that’s yet to yield an actual job? It’s time to ask an expert: Is This Working? Courtney C. W. Guerra, aka online advice columnist Dear Businesslady, uses an easy-to-read Q&A format to help you navigate situations you’ll encounter in your professional life, along with a set of strategies for getting through them. In her signature fun-yet-smart tone, Guerra shares concrete advice that will help you get where you want to go—like how to score a job you actually enjoy, how to manage the responsibilities that come with your first (hard-earned!) promotion, and what you should (and shouldn’t!) post on your social media accounts. We’d love your help. Let us know what’s wrong with this preview of Is This Working? by Courtney C.W. Guerra. We’d love your help. Let us know what’s wrong with this preview of The Struggle for Recognition in International Relations by Michelle K Murray. From the author: "The introduction discusses two of my Chicago professors back in the day, William McNeill and Bingdi He (or Ping-ti Ho, as the romanization system had it) and how they influenced my thinking about China." We’d love your help. Let us know what’s wrong with this preview of Racial Melancholia, Racial Dissociation by David L. Eng. We’d love your help. Let us know what’s wrong with this preview of State of Health by Amy Cooper. We’d love your help. Let us know what’s wrong with this preview of Julian Abele by Dreck Spurlock Wilson. Take a look at University of Chicago’s Year in Books. The good, the bad, the long, the short—it’s all here.